In our comprehensive task chair reviews, we’ve scoured the internet for the latest and most accurate product information. We’ve also tracked down user reviews and customer feedback. All that data and information you need is at your fingertips in this SitOnIt Seating Wit chair review. Our goal is to make you an expert in your quest for the perfect task chair for your home or office. 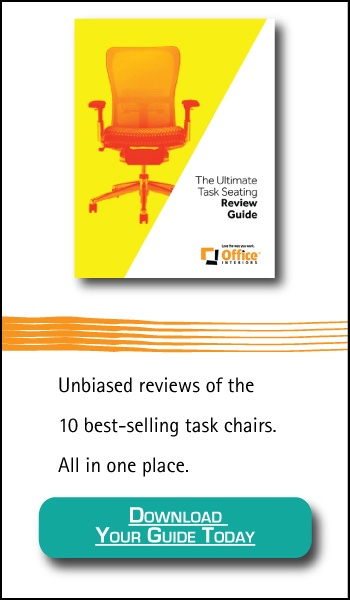 While we also sell task chairs, we haven’t let our opinions shape this or any of our other task chair reviews; we rely purely on third-party information. Released in 2013, the Wit was designed with simplicity in mind. It’s suited for open offices and collaborative spaces with features that promote movement and customization. There’s a handle on the back so you can effortlessly move the chair where you want. It’s a light and airy chair, using a mesh back or a Thintex material that provides more support with very little additional weight. Like all SitOnIt Seating products, you have plenty of options to design your ideal chair. With the Wit task chair, you can select either the mesh back or the Thintex back. Both provide cool and breathable support, with the Thintex offering a solid backing. You can also choose adjustable, multi-adjustable, or fixed armrests. You have the option for a midback or highback chair. A midback stool, which sits higher off the floor, is another possibility with the Wit. All Wit task chairs come with a lifetime warranty and a 12-year warranty on select parts. Like most SitOnIt products, you can select your best option from a range of fabric colours. The Wit task chair was built with the modern office in mind. According to the Wit chair reviews, it’s lightweight and mobile, with a stylish design that works in almost any setting. It easy to maneuver in any office or tight space. The handle on the chair is almost always one of the first features a reviewer will notice. Many of the reviews we came across came from software development companies, architecture firms, or creative industries. Collaborative and open workspaces seem to be a perfect fit for the Wit. According to Wit chair reviews, this is a low-cost, easy-to-use, and no-fuss office chair. The chair offers adjustable lumbar support in every option and configuration. This provides just enough support and flexibility to get you through a busy workday in comfort. Adjustable arms and swivel and synchro tilt mechanisms let you adjust the seat to your desired levels. The waterfall seat is comfortable, eliminating the aches and pains in your thighs and backside that office workers often report, especially in low-cost chairs. The arms of the chair are extremely comfortable according to many reviews. The low price for the high value is one of the best features in many Wit chair reviews, and many small businesses on tight budgets purchase the Wit. You get a lot of chair for a little price tag. Most chairs at this price will provide standard upholstery and padding, but with the Wit, you get a breathable mesh backing or ThinTex material. 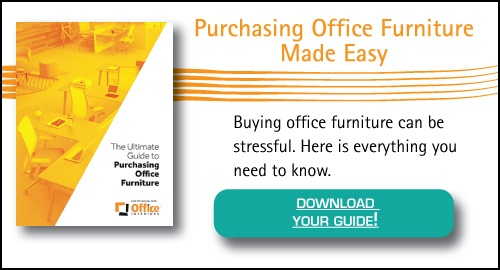 Add in a wealth of design options, a common benefit according to SitOnIt Seating chair reviews, and you have an excellent choice for any office. Users report some parts will tear and rip, especially the mesh back. A sharp edge on a desk can split the material, which can be a problem especially for a chair designed to move around the office. For some users, the ThinTex material isn’t as comfortable as standard upholstery. The arms of the chair can be another problem area. The adjustment mechanism can break or snap, leaving the arm loose. Occasionally, users will report swivel mechanisms that stick or parts that jam, especially on the casters. While the Wit does have some adjustment mechanisms, it doesn’t offer as many as other office chairs. There is only one mechanism for the back, the adjustable lumbar support. If you can’t find the perfect setting with the lumbar support, you may need to bring a pillow or buy additional support. It’s a stylish chair with a budget-friendly price so keep in mind that it won’t have all the knobs, levers, and dials that some of the pricier chairs can show off. Still not sure if the Wit is the chair for you? Check out our other reviews of popular ergonomic task chairs!